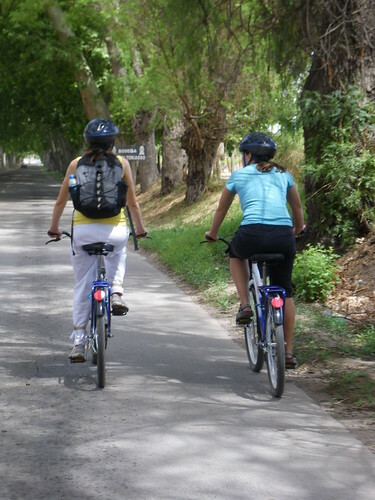 We began our bike-tour of the Argentina while we were still in Salta. Unable to go mountain bikes we managed to find some ‘regular’ bikes to go for a spin around to the surrounding towns. The bikes were slow, we were out of shape from all this great food we’ve been eating, and we couldn’t find our way into the big forest that we had wanted to go to. Feeling ‘bike’ sore in more ways than one we began to worry about the other bike trips we’d be taking in the near future, we quickly reminded ourselves that those would be featuring wine! Given that we’d heard from several sources that none of the wines on “the route” are known to be particularly good, we continued biking to the winery furthest from our starting and ending point. 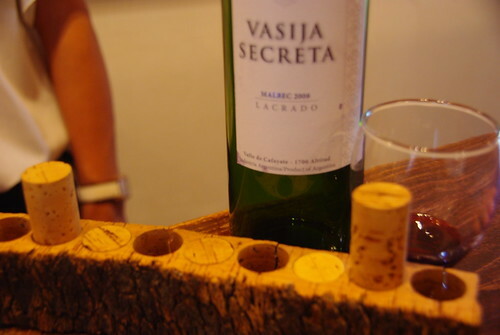 There we sucked it up, paid our 15 pesos to taste three wines, all of which were good. Adding only 5 pesos to the tasting total, the three of us (we managed to rope our CS host Jessica into coming with us…who qualified for something of a ‘local’ discount) enjoyed a nice bottle of rose with the lunch we’d brought along for the ride and spent the rest of the day lounging in the shade drinking wine. Not a bad way to spend an afternoon, but certainly not the biking through vineyards we imagined. In a stroke of complete irony the bike rental company, who only charged us 15 pesos for each bike, then provided us each with a very full glass of wine, some cookies, and a bottle of water… Why couldn’t this woman be the one working the vineyards? Although our image of cycling from vineyard to vineyard toasting wine after wine was a bit of a bust, the day had yet to bear its biggest bit of fruit. At some point Jessica mentioned that she had been trying to arrange a trip to Ushuaia. Over a few supermarket bottles of wine and those delicious empanadas (from the video! ), we hatched our plans to meet at el fin del mundo. Nos vemos pronto! Ok, you’re making me hungry and jealous! Glad y’all are enjoying the food and sites, and keep the blog coming! Great story. 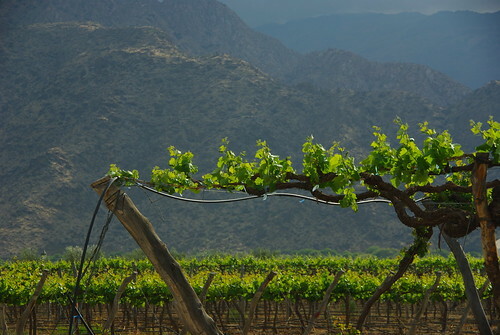 What an incredible feeling- the air on your cheeks in the Argentine wine region! 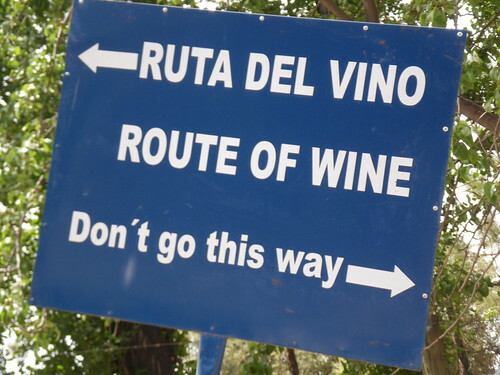 That’s a shame about the poor quality of the wines on the route. I guess if they have constant flow of tourists, they don’t care about the wine quality. Maybe it all tastes good after a couple hours of biking! I think I’d have trouble mustering the strength to do anything but nap after so many glasses of wine. I’m admittedly a bit of a light-weight when it comes to alcohol. he he he. Was it a rigorous ride?